The powers that be at FUS understand the rigor of a faith-based collegiate experience as well as the rewards. They also understand that undergraduate prospects are still finding their pathways to spirituality – and in that respect FUS has to serve multiple audiences of prospect types. 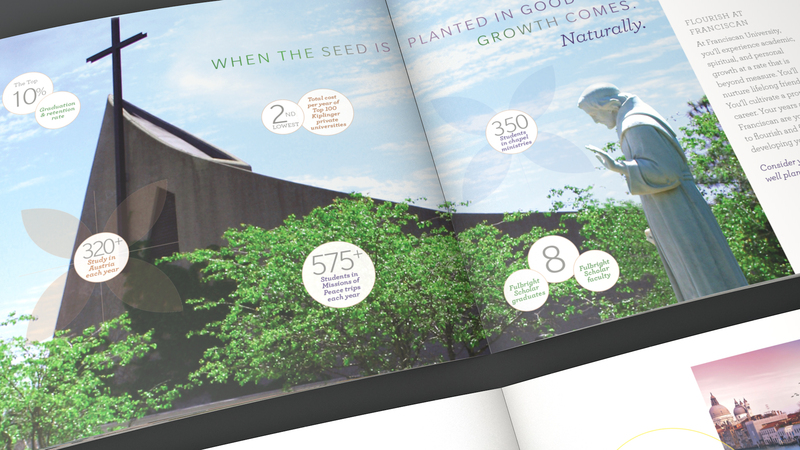 Franciscan University’s new viewbook is a wonderful collaboration between agency and institution. 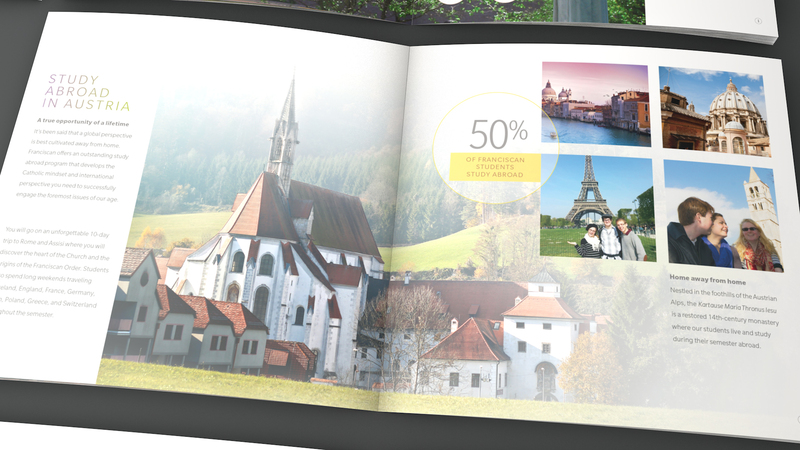 Together, we forged a viewbook that incorporates all tenants of FUS’s call to a faith-based educational life; communication that any 17 year old can find relevant, compelling, and a motivation to enroll. 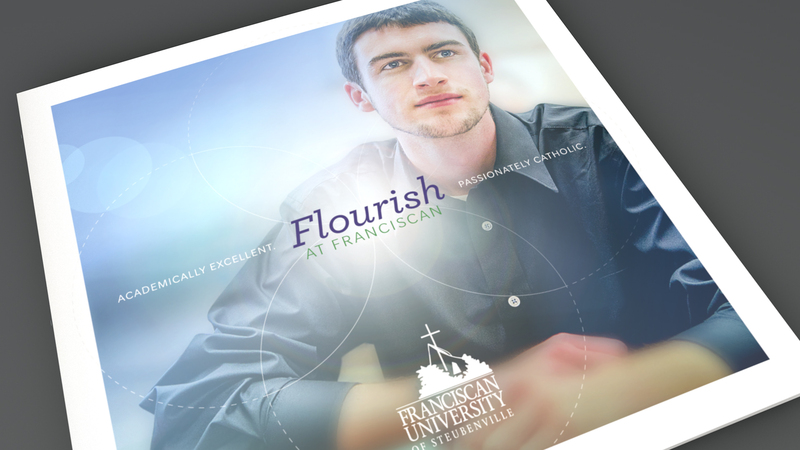 In just over 60 years, Franciscan University of Steubenville has emerged as a leader in academically excellent and passionately Catholic education. By integrating faith and reason in the pursuit of truth and right living, the University has grown from a small facility serving local veterans of World War II to a beautiful hillside campus and an educational institution recognized nationally and internationally for its programs, faculty, and graduates.